Summertime fun is all about bonding with your loved ones here in West Lafayette, IN, whether you’re relaxing in your apartment at Collegiate Communities or you’re having a bonfire outside. Today we have a few games that are sure to bring in the fun anytime this month or in the upcoming ones. Board games encourage interaction and friendly competition, sometimes with a fun storyline to keep you extra entertained. Try classics like Clue, Monopoly, or Apples to Apples, or fun alternatives like Mysterium or Cards Against Humanity. If you don’t have any board games on hand but you have a deck (or a few decks) of face cards, try a card game like Nertz, which is basically a group competition game of Solitaire. These you can do outside or inside, usually without a lot of special materials. Put them on your list to break the ice when you have a group of people not familiar with each other. Never Have I Ever and Two Truths and a Lie are perfect ways to start conversations and encourage bonding between good friends or acquaintances. 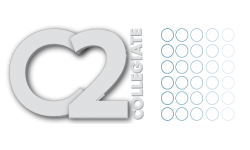 Collegiate Communities residents enjoy a free membership to our exclusive C2 Lounge, which features a 24-hour state-of-the-art fitness room, tanning, big screen TVs, and game consoles. Energize yourself during a late game night by using the Keurig coffee and tea machine nearby, then get to gaming! It’s a great option for gamers or people willing to try something new. What are your favorite games or activities for summertime fun, appropriate for inside or outside? Share your thoughts with the rest of us by leaving a comment below. Thanks for reading! We hope you enjoy these ideas and any others you come up with as you bond with loved ones and neighbors this season.